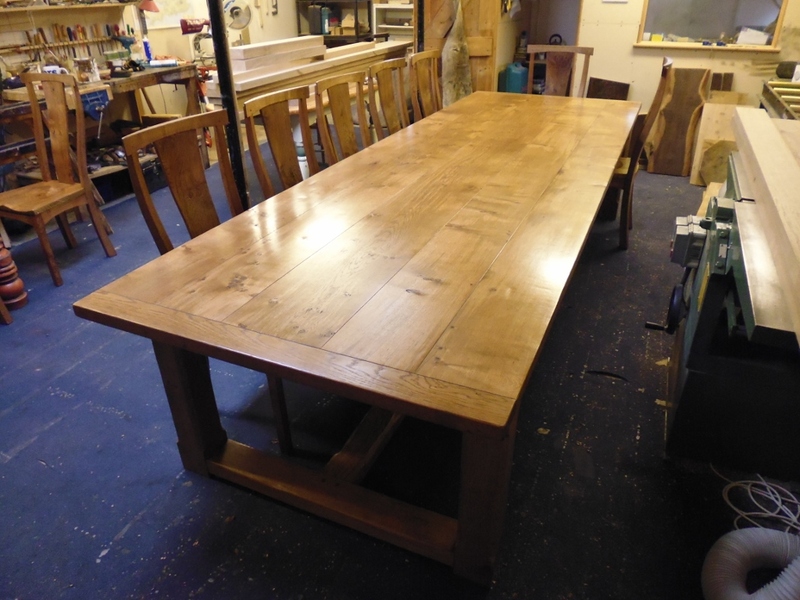 Waney Edge Tables or Live Edge Tables are where a table edges are left in their natural form and shape; rather than cutting the edge straight. 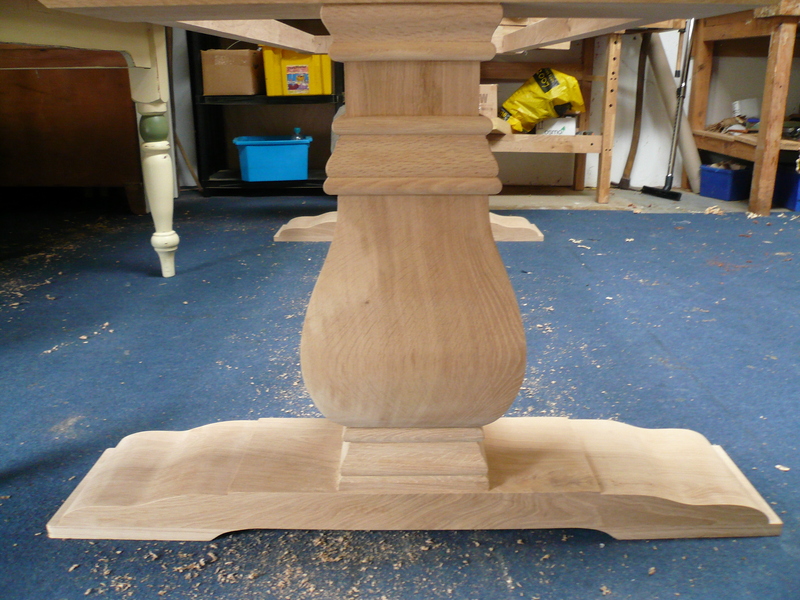 It can be very difficult source the right wood that can been used for such a table top. When we found this slab in one of our suppliers yards, we just had to buy it as it was perfect for making a Waney Edge Table. 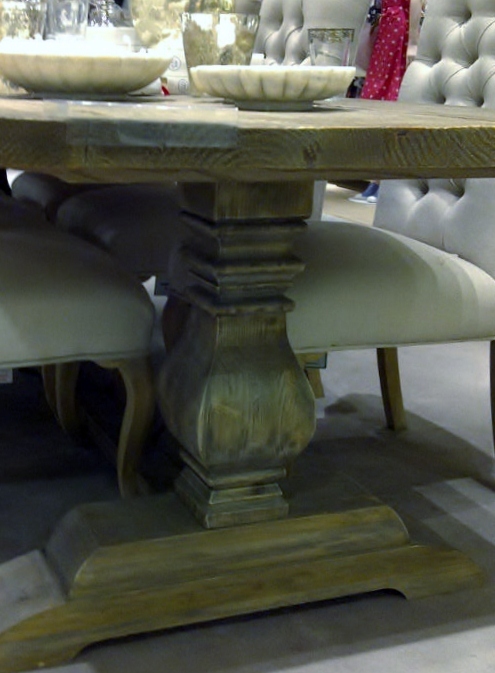 The table top has no joins, the whole table top is made from a single piece of wood. Here is the Pippy Oak plank when we started work on it. 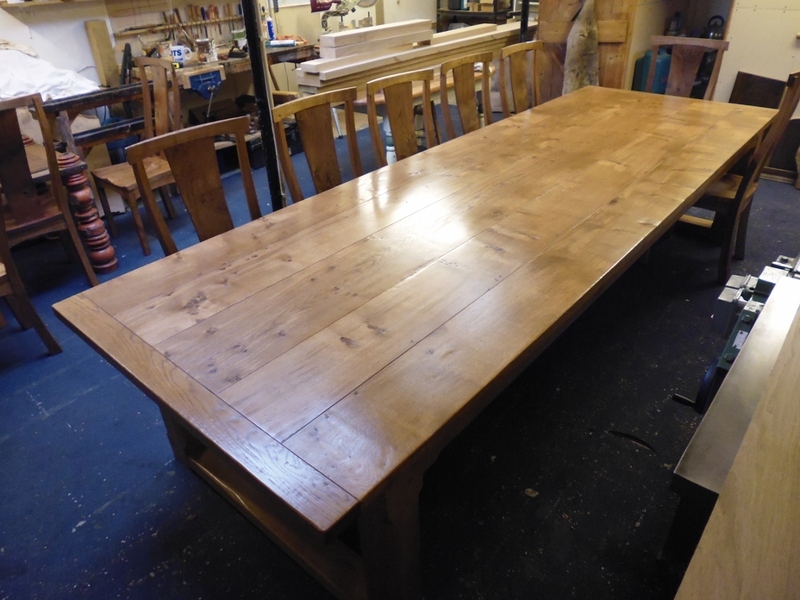 The Waney Edge Oak table dimensions are 2.95m long x 850mm to 900mm width x 50mm thick. 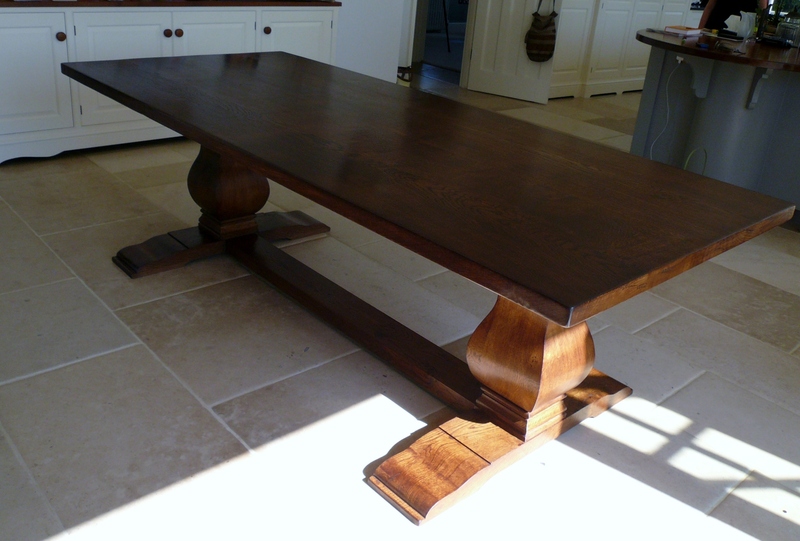 We recently sold the table to a client who chose to mount the table top on a metal base. This table is truly unique. 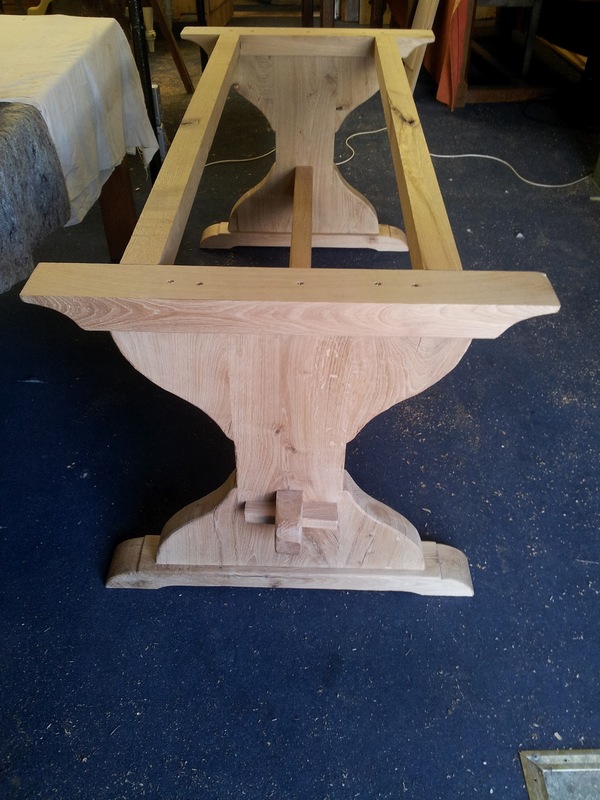 This Waney Edge Elm table was commissioned several years ago. 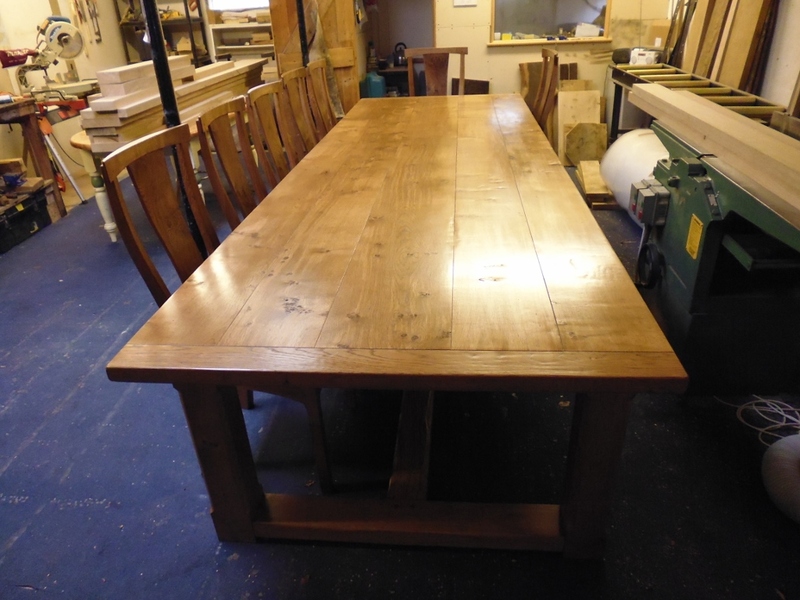 It is made from a magnificent slab of flamed English Elm. 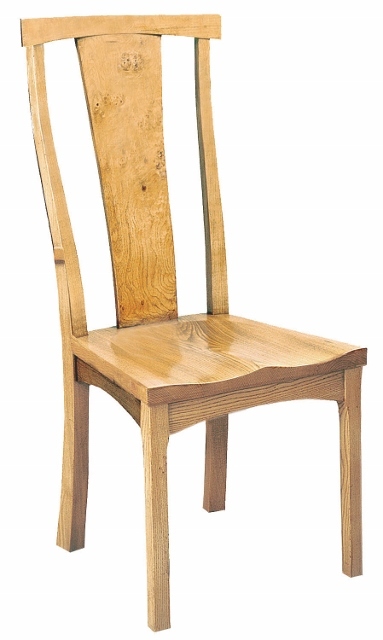 The natural grain of Elm gives a stunning depth of colour; hence the name “Flamed English Elm”. You can also see where a large branch used to be. 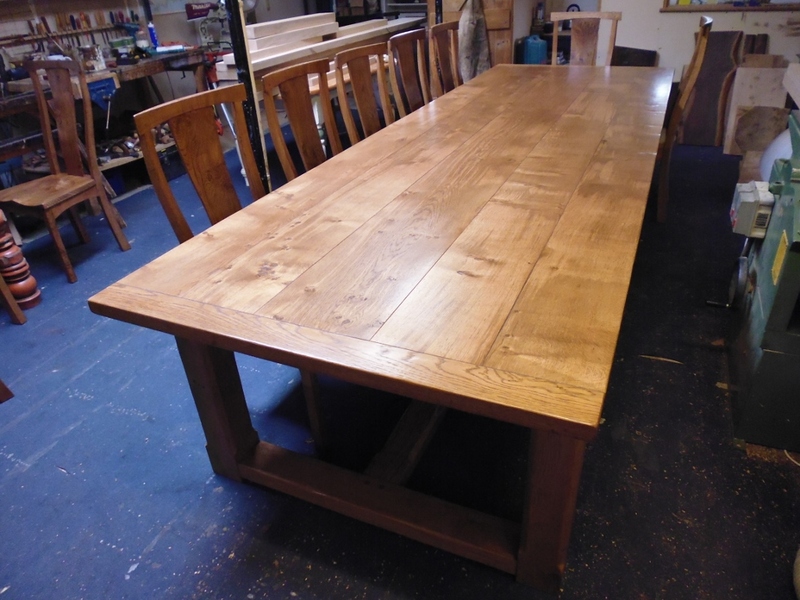 This Waney Edge Table is made from 3 boards from the same Oak Tree. We kept the waney edges from each side of the slab. 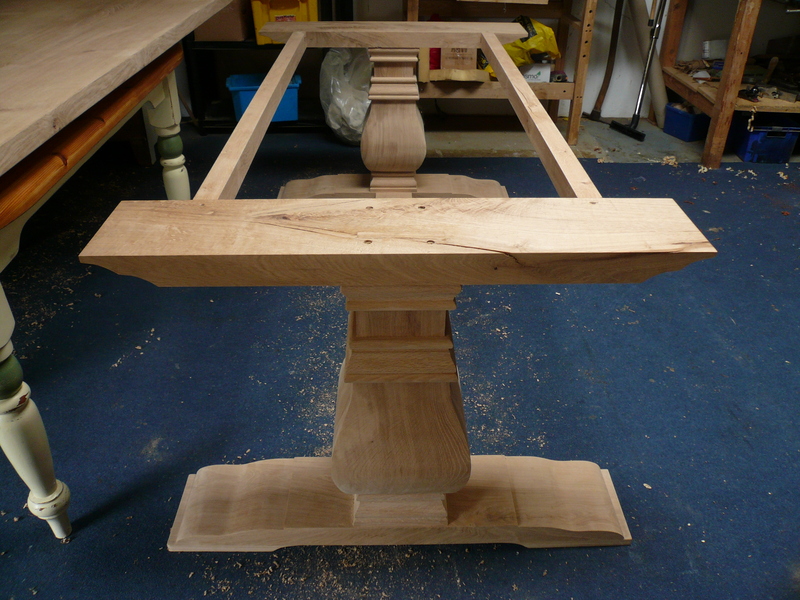 By splitting the slab into 3 pieces, we were able to make a table to the exact width the client required. You can also see that this table has a fairly straight waney edge. It really depends what the clients requirements are. We can source wood from various suppliers and can choose a slab that is suited to individual requirements. 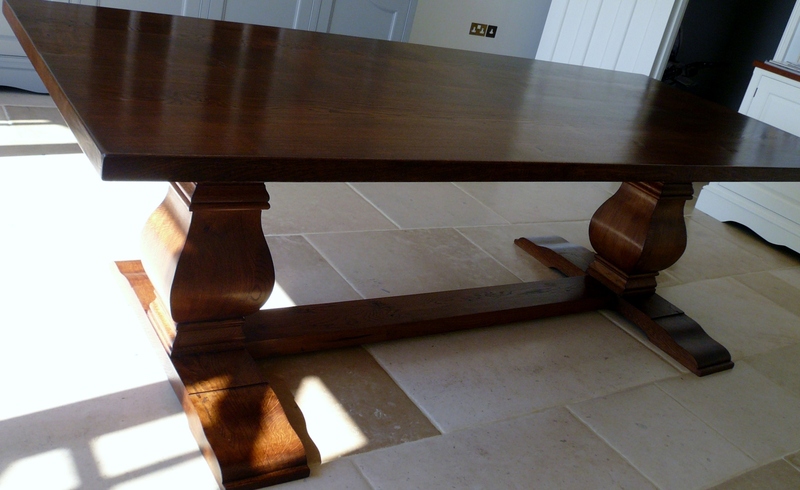 You can checkout some of our bespoke handmade waney edge tables tables. This is my latest creation – a magnificent one piece slab of flamed English Elm. Dimensions 3m x 1.1m x 50mm thick. 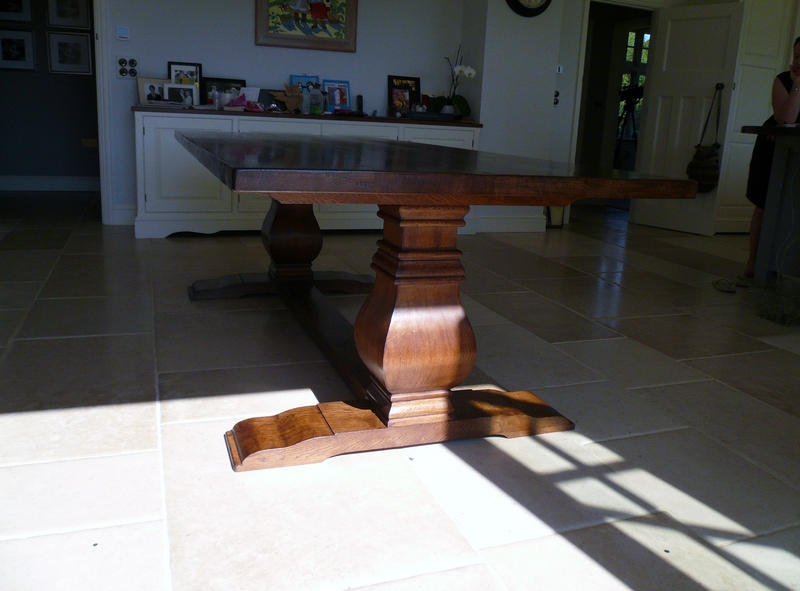 The table was commissioned to sit in a new contemporary style kitchen/dinner extension. The organic Elm slab is coupled with an industrial style metal base, in the raw with weld marks showing but coated with a matt lacquer to prevent rusting. The whole installation works pretty well in my humble opinion. You could ‘like’ if you agree.